Cruising... What's In It For The Kids? | UNIGLOBE Direct Travel Ltd. 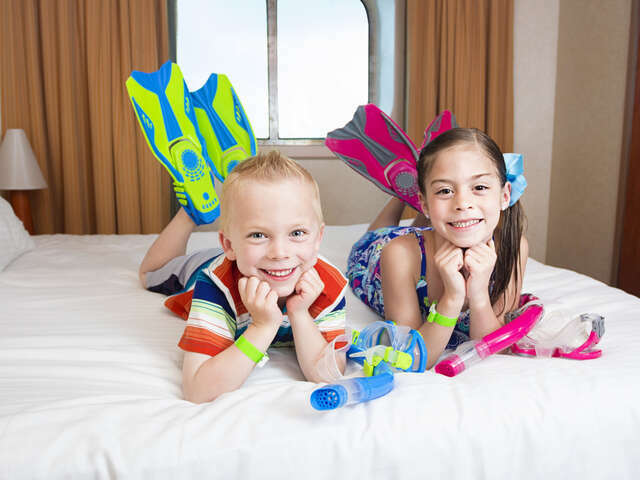 Compare what the popular family cruise lines have to offer your kids. There’s nothing like a cruise for a family vacation. It’s easy. No packing and unpacking. Tons of entertainment for every age. And food options guaranteed to please the pickiest of eaters. 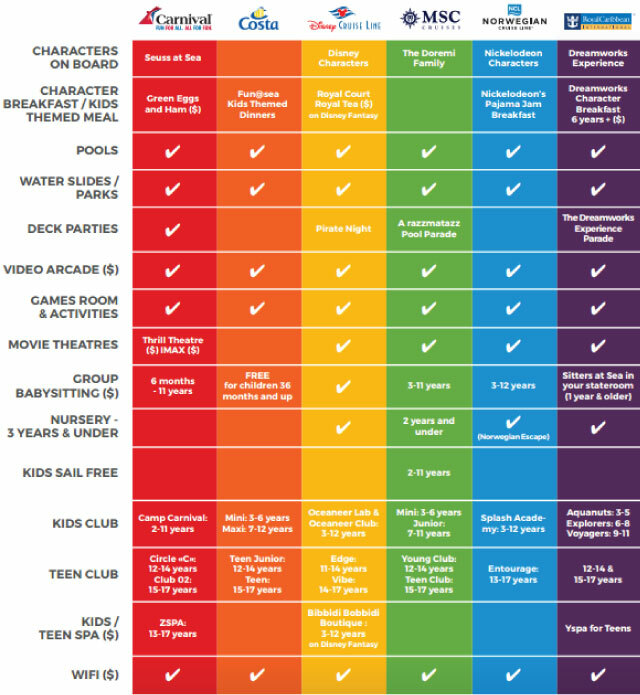 Check out this chart from our friends over at Encore Cruises to get an idea which cruise line is best for your family. If you are still not sure, give us a call, our cruise experts are happy to help. Not all cruises itineraries are created equal, some itineraries, even while they may be on a family-friendly cruise line, aren't as well suited for little ones. Give us a call and we'd be happy to help narrow down the options and find you a cruise that meets your unique needs and budget.